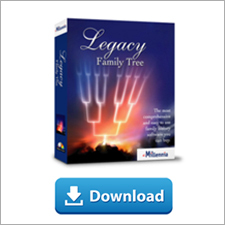 Legacy News: Are You Using LibGuides for Genealogy Research? Are You Using LibGuides for Genealogy Research? Have you heard of LibGuides ? Unless you are a librarian or spend time poking around library websites, you may not be familiar with this research guide website. Officially, “LibGuides are a content management and information sharing system designed specifically for libraries.” What’s important for you to know is that LibGuides are research guides that provide information about a repository or a topic that aids the reader in finding resources, books, websites, and more. LibGuides are a tool to help you do better genealogy research. Now you may be thinking, “but this isn’t a genealogy resource!” While this resource does not specifically target family historians, it does include research guides covering topics important to researching your genealogy including history, African American studies, maps, periodicals, and yes, even genealogy. These guides are important for academic researchers as well as family historians. 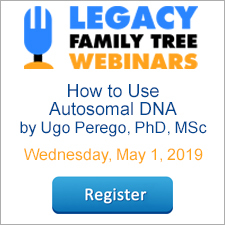 Luana Darby, AG , LibGuide author and Legacy webinar speaker, points out that “LibGuides are essential for the family historian and genealogist. These organized subject guides, filled with information, links, and often videos, are key to becoming acquainted with the resources of a repository and accessing unique and vital collections.” Some of Luana’s favorite LibGuides for family historians include the University of Maryland’s Maryland Genealogy and the State Library of North Carolina’s Beginning Genealogy Resources. If you choose to search by keyword on the LibGuides website think about keywords that might describe the resources you need to fill in the gaps of your ancestor's life, such as the name of your ancestor’s occupation, their religion or a war they served in. Don’t forget to search on the name of an historical event your ancestor lived through or they name of the place they lived. You can also just search on words describing resources for family history such as newspapers. With 580,000 guides from over 4,700 institutions in 58 countries, you’re bound to find a LibGuide that can help you with the resources you need. “LibGuides @ Pitt - A Faculty Resource: What is a LibGuide?,” University of Pittsburgh (http://pitt.libguides.com/faculty: accessed 20 April 2018). Thank you for posting this, Gena!